Ships Wednesday, April 24 if ordered in the next 2 days, 8 hours and 39 minutes! Each tower measures 8" X 3" X 3". 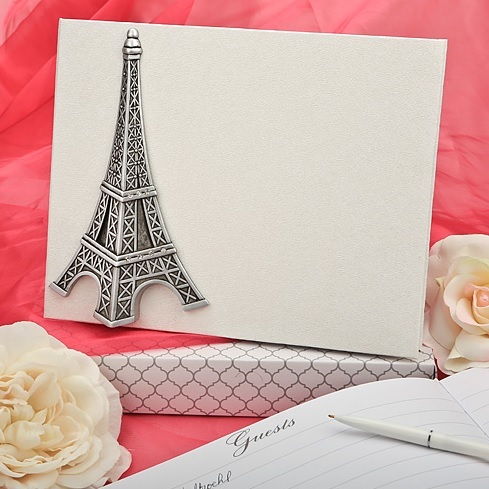 Beautifully packaged in a grey box with a repeat Eiffel Tower design. The front label features a picture of the item. 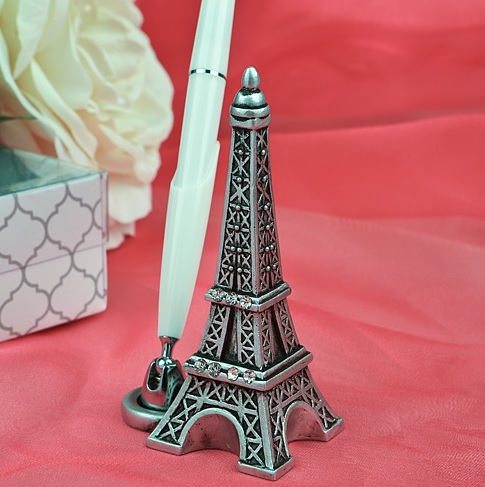 Created in a stylish antique shade of pewter which will blend in with any color scheme of your choice. 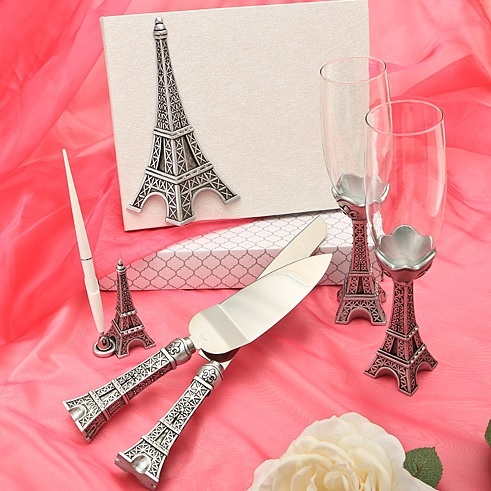 Meticulously carved from poly-resin to create a perfect replica in three dimensions. 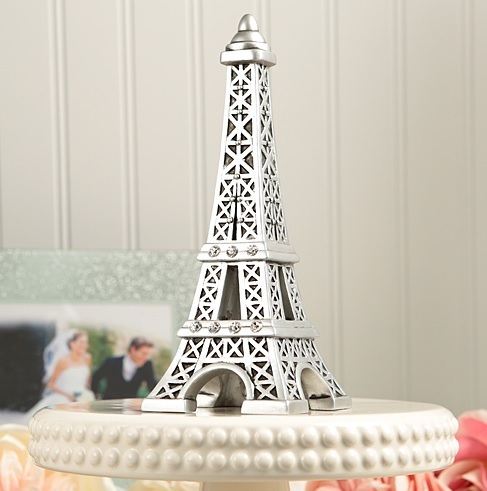 Rhinestone accents around the tower add a delicate sparkling touch. 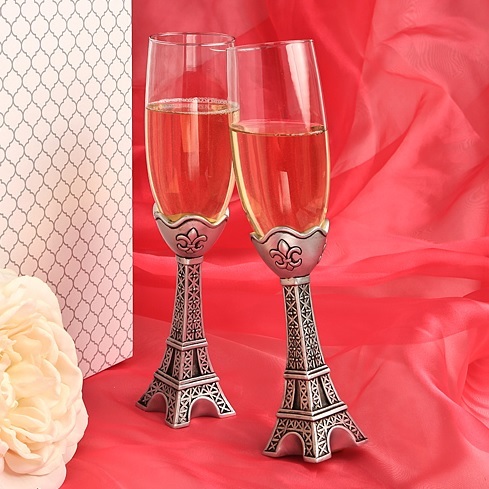 These towers are perfect as table centerpieces for that special occasion with a romantic theme, weddings, showers or love-inspired dinners. Also ideal as a striking topper for a cake!